Support Science and the free exchange of information! This year there are 33 Senate seats up for re-election. We need to give them all the boot, and institute some term limits because those entrusted to be our stand-ins are not doing their job. 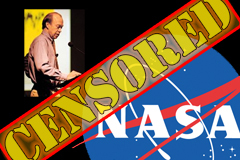 Our top Scientists are being threatened and censored, our liberties are under attack and these "gentlemen and women" are patting each other on the back while our rights are being taken away.